Two of the company's three co-founders, Michael Morhaime and Frank Pearce, have marked the occasion by videoing a message of thanks to the people who bought their games and enabled such a prosperous existence. "When we first started the company in 1991 there were just three of us and we really just wanted to use this opportunity to thank you for all these years of support, because without you we wouldn't be able to do what we do," said Morhaime. Pearce added that he was "humbled" by the community support around the world. He likes that you share Blizzard's "intense passion for gaming" and that you demand "an even higher standard of quality than we hold ourselves to". Morhaime concluded: "We really do want to continue meeting and exceeding your expectations with even more cool stuff in the future." Blizzard began life as Silicon & Synapse, releasing games including Battle Chess (1992), The Lost Vikings (1992) and Rock N' Roll Racing (1993). In 1994 the name changed to Blizzard and that year the first Warcraft game was released - an RTS for PC. In 1997 Diablo arrived, and in 1998 StarCraft showed up. 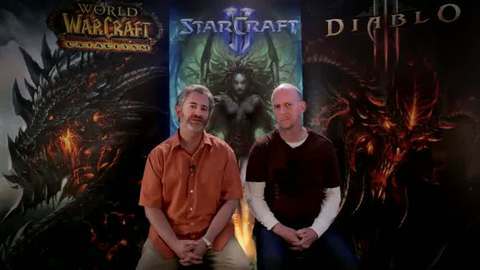 Those three games - Warcraft, Diablo and StarCraft - are Blizzard's primary focus today. MMO behemoth World of Warcraft keeps the Warcraft brand ticking; Diablo III may be released this year; and the first game of the StarCraft II trilogy was released in 2010. What's more, Blizzard has another MMO in development codenamed Titan. A leaked Blizzard product schedule was splashed across the internet late last year. Down for Q4 2011 are a second StarCraft II expansion, something called StarCraft 2 and Diablo III. The Brazilian launch of World of Warcraft happens in Q3. The following year, 2012, Battle.net will be opened to third parties. Will it be a rival to Steam? In Q2 2012 we'll see another World of Warcraft expansion and in Q4 a World of Warcraft film. At the start of 2013, Blizzard will release the third and final StarCraft II game, followed in Q2 by an expansion for Diablo III. At the end of 2013, a fifth expansion for World of Warcraft will arrive as will new MMO Titan, although this may refer only to an unveiling. 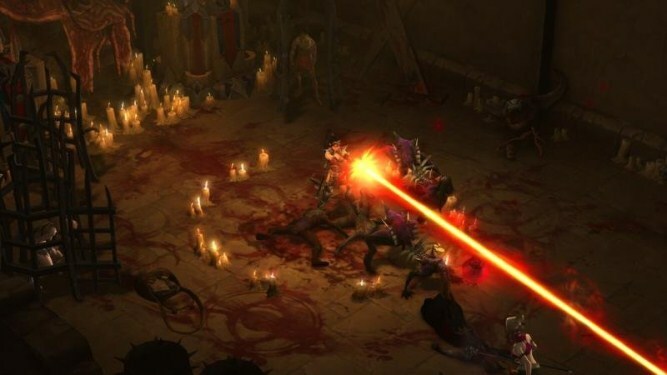 The only game down so far for 2014 is a second Diablo III expansion pack.